One of the elements of writing that generates such responses is expert pacing. Stroby’s newest book, The Devil’s Share (Minotaur, July 2015), is the fourth to feature professional thief Crissa Stone. While the Crissa novels might remind you of the Parker novels by Richard Stark (a pen name of the late, great Donald E. Westlake), that is a bit unfair to Stroby. He has created a fresh character in his criminal, and not only because she is female. Crissa has a humanity that the compelling but cold Parker rarely if ever displayed. The jobs she takes quickly transcend mere capers as inevitable complications arise. The Devil’s Share, in the FWB’s view, is an object lesson in good pacing. Stroby has been kind enough to respond in detail to the FWB’s not-so-swiftly-paced email questions about how to do it. FWB: How do you define a novel’s pacing? Is it important for your storytelling, the reader’s reading or both—or are they really the same thing? Do you think pacing is approached differently in a so-called “literary” novel that might include more description, internal monologues, etc., than a so-called “crime” or “genre” novel? 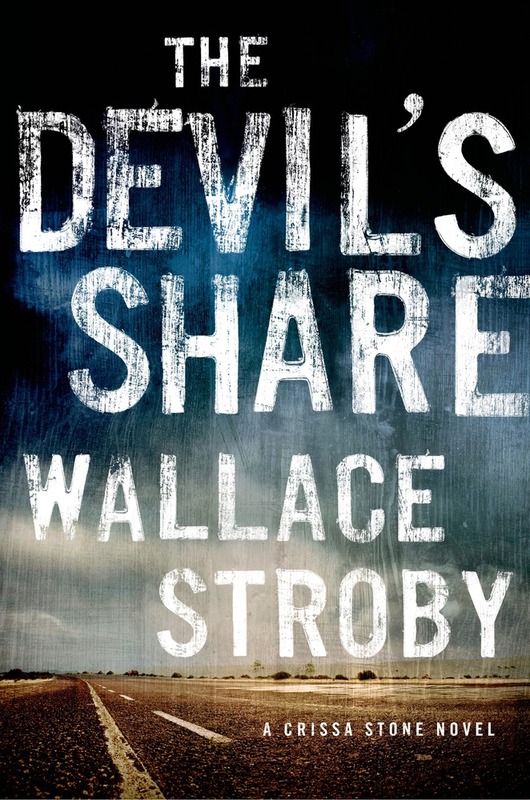 Wallace Stroby: I think the pacing is decided by the story you want to tell, as well as your own style, how you see it. Certain stories are going to require certain approaches. If you’re writing a thriller, you want it to move as fast as possible, because that’s one of the pleasures of the thriller and what draws people to it—the “ticking clock” concept. If it’s more of a character piece—even in a crime novel—you’re going to want to go deeper and take the time to flesh out your characters, whether by giving them interior monologues or having them do things that are not necessarily related to the plot. That grounds them, and helps us invest in their story, because we feel like we know the characters and can identify with them. What is your approach to handling exposition and giving the reader enough backstory, setting, etc? In an interview, you said you try to avoid more than two pages of exposition at a time, and that you watch out for overly-long information dumps. WS: Backstory and exposition vs. narrative drive is one the greatest challenges in writing fiction. Even the most experienced novelists have issues with it. It’s something that has to be finessed, and it’s very easy to go wrong in one direction or the other. The trick is to weave in just enough that the reader has the information they need, but not so much that it stops the narrative cold. Sometimes the writer needs to know the backstory, but doesn’t have to share it all with the reader. It’s like a scaffolding—you have to build it to paint a wall, but once the wall is done, you don’t need the scaffolding anymore. In other words, all that backstory may not still be there on the surface, but it will be part of your understanding about the characters and the stories and will emerge in other ways. It’s the same with dialogue. Nothing makes dialogue clunkier than trying to frontload backstory or excess information into it. At the same time, dialogue does often need to communicate things central to the story. So it’s a fine line, and practice is the only thing that helps. Any advice on pacing dialogue? WS: If you want to know how to write—and pace—dialogue, read the masters: Richard Price and Elmore Leonard. Another technique you use so effectively is the “jump cut” between chapters and sometimes within chapters. For example, in Chapter 4 of The Devil’s Share Crissa is meeting others in Los Angeles, then Chapter 5 begins at a Texas prison. And when Crissa is back onstage in Chapter 7, she’s on the road out of Las Vegas. In the later stages of the story, her movement between New Jersey, Boston, Ohio and Kansas are similarly telegraphic. Yet only at the start of Chapter 11, when you write “Three days later. . .” is there a specific reference to time or distance. Is using the jump cut technique part of what you’ve said about letting readers fill in the blanks themselves? WS: Yes, exactly. As far as time and distance, you put it in when it’s necessary, you leave it out when it’s not. In the passage you cite, knowing how long it takes Crissa to get back to New Jersey is important because there are parallel stories being told—hers and [the character named] Hicks’—and the timelines have to match up because they will eventually intersect. Certain events have to happen for that confrontation to occur, and they need sufficient time to happen. Also, when you’re dealing with a story that takes place in various locales across the country, the characters need time—and means—to get there. Is part of ineffective pacing related to not giving the reader enough credit to use his or her imagination to fill in between the lines? You’ve said that, as far as Crissa’s appearance, we only know her as “Red” and have no other description, and you want the reader to fill it in. Has a reader ever told you that you hold too much back? WS: Yes, sometimes a reviewer or reader will complain that I don’t describe Crissa enough, but that train left the station a long time ago. What happens much more often is readers telling me what they think she looks like—sometimes referencing a certain actress. That’s what I love to hear, because it means they’ve created a version of her in their head, and they’ve become a partner in the storytelling process. A risk for the writer, of course, is if you describe someone too much the reader might not like that person the way they’re described, or it might remind them of someone they hate —you never know. Do you have a goal in mind on the overall pacing of a story? . . .Are you conscious of having certain events and turning points in specific places? And do you want the last third to move faster than the first third or the middle? WS: Again, it depends on the story you want to tell. To quote another director, Sam Peckinpah, the story process is always the same—introduce, develop, resolve. Where those beats end up is going to be decided by the story. But by the last third of the book, I think readers want a clear run to the end. You don’t want to introduce new major characters or a deus ex-machina at the last moment. It feels like a cheat. How much of your pacing comes while writing the first draft of the novel? How much in revising? Are you always cutting from your first draft? Or are you so oriented toward the forward action that you have to add some missing information so the story makes better sense? WS: It’s all in revising. To use another Peckinpah quote, shooting the film—or writing the first draft—is mining the coal. It’s refined in the editing room. Polish, polish, polish. If something doesn’t belong, get rid of it. Occasionally my editor will ask me to add some backstory or an interior monologue to give a deeper sense of the character’s thoughts and emotions. That’s usually easy to do, because I already know them—I’ve just left them out for pacing’s sake. What becomes an issue is when the editor asks about something that I haven’t thought sufficiently about, because that means I have more work to do. 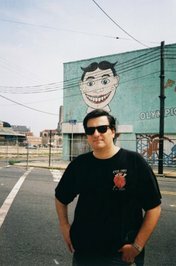 Aside from looking for big blocks of gray type, are there other things a writer should look for while reviewing his or her work that might indicate the pacing could be better? WS: Things should get faster as they move along—shorter scenes, higher stakes. You can always get into a scene later and out of it earlier. At the very elemental level, can a case by made that pacing begins with word choices—strong nouns and verbs, essential adjectives, no adverbs? What about the length of scenes and chapters? Some writers. . .turn each scene into a chapter. How do you decide on chapter length for pacing, and what role does it play? WS: Again, it’s a function of the story. With each scene being its own chapter—regardless of how short the actual scene is— it may move the story along faster and prompt readers to keep turning pages. But if it feels like a construct or an artificial break in the narrative, it can be frustrating. If you feel like you’re being manipulated, the magic doesn’t work as well. Last question: Any thoughts about pacing you care to add? *Stroby’s short story “Lovers in the Cold,” originally published in the 2005 anthology Meeting Across the River: Stories Inspired by the Haunting Bruce Springsteen Song, is now a Kindle single at Amazon.